Sorry people, completely forgot to tell you. Last week we had tooth number 6 erupt! 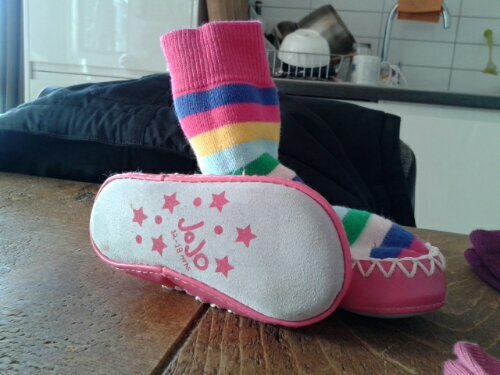 In other news we bought her some super cute (and practical) moccasin/ slipper socks today. 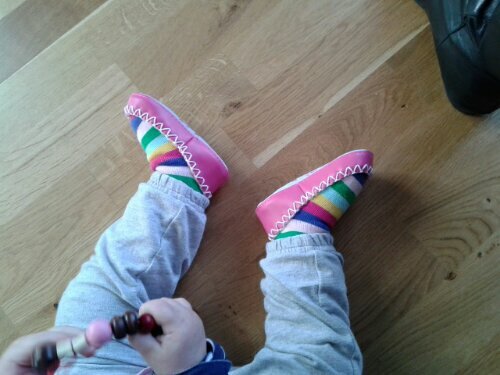 She’s been wearing them well so far. 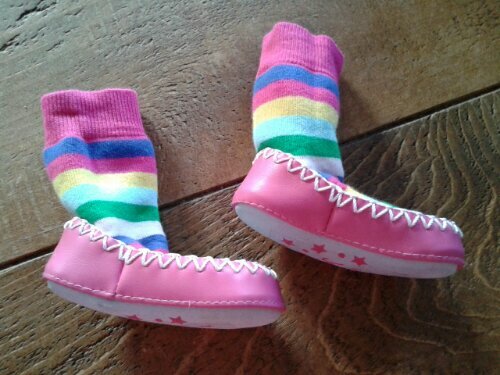 Designed to keep her feet warm, to stop her slipping (suede sole) and to stay on (long sock bit). LOOK AT THESE!!!! Yours from Jojo Maman Bebe for just £9. 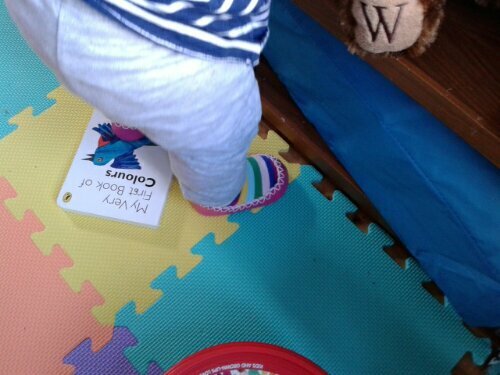 This entry was posted in Baby, Fashion, newborn development and tagged 6th tooth, development, eruption, feet, moccasin, moccasins, slippers, socks, teeth, walking. Bookmark the permalink.